Senators-elect of the opposition Peoples Democratic Party (PDP) met in Abuja last night over the leadership tussle for the coming 9th Assembly. The meeting was part of their plans on how they would confront the leadership contest in the Senate. It was gathered that the PDP senators-elect want to negotiate and see the right person to back among the APC senators, with the hope that a repeat of the 2015 scenario where one of their own, Ike Ekweremadu emerged Deputy Senate President despite APC’s majority status, would happen. It was learnt that the PDP senators-elect may support one of the three APC senators seeking for the Senate President’s office from the North East, namely Ahmad Lawan, Ali Ndume and Danjuma Goje. 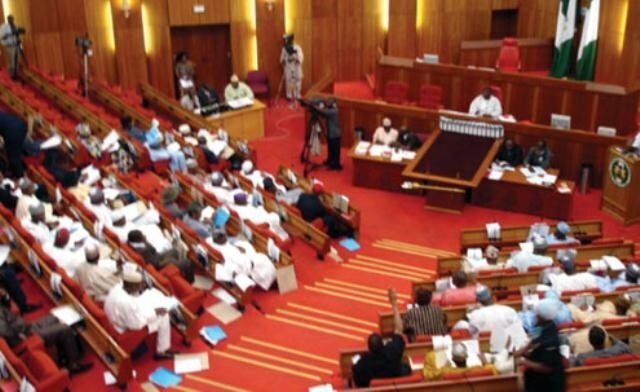 The PDP has about 43 senators-elect for the 9th Assembly against the APC’s 65.